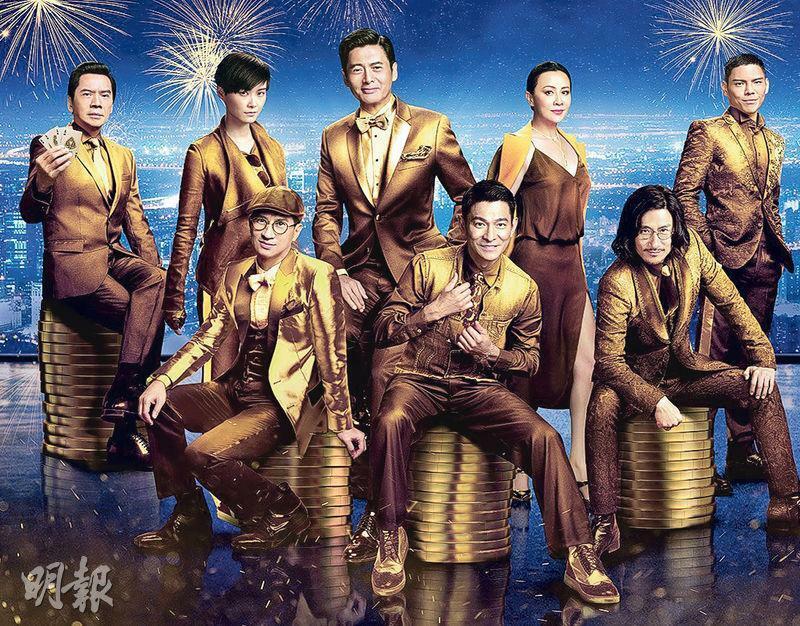 The FROM VEGAS TO MACAU 3 team turns into the "Golden Dream Team"
FROM VEGAS TO MACAU 3 (DOH SING FUNG WON III)'s elegant poster was unveiled. 8 actors from the film were dressed in gold. Fat Gor became the Mainland Spring Festival box office champion for two years in a row with the Lunar New Year films THE MONKEY KING (DAI LAU TIN GUNG) and FROM VEGAS TO MACAU 2, thus he was known as "Champion Fat". Fat Gor worked out everyday to stay in shape. He looked so great on the poster that some said he looked like he did when he was 30. Fat Gor said that making FROM VEGAS TO MACAU 3 made him very sentimental. Thus he made a decision to return to himself back then. He said, "This year I am 60, next year I will count down to 59. When I turn 99 I will return to age 21. I will be younger and younger and make myself healthy." As for "brothers" Jacky Cheung Hok Yau and Nick Cheung Ka Fai, Hok Yau this time played a villain as "brothers turned on each other".